The Fiery Furnaces are back with a quirky new album that shows the brother-sister duo can keep things fresh. 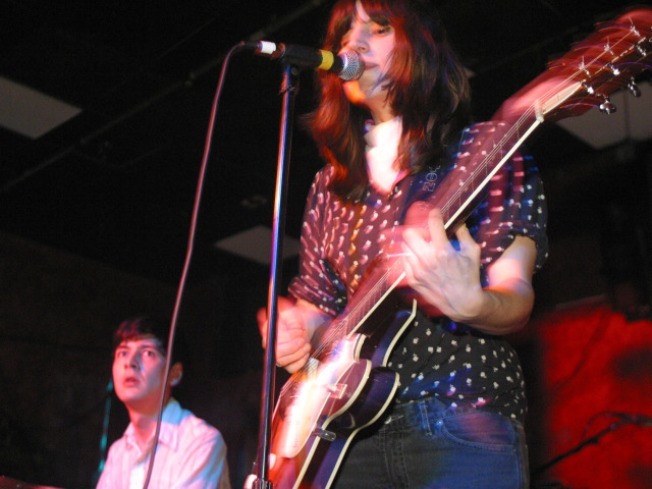 The Fiery Furnaces are back with another reliably unconventional new album, "I'm Going Away." The album, the latest from brother and sister duo Matthew and Eleanor Friedberger, is a quirky, far out fun record with an abstract and diverse sound. For a band that's already on their seventh LP in the last six years, you would think their sound would start to become mundane. This is not the case. The band drew inspiration from '70s and '80s television show themes for the retro-inspired release. This is apparent in songs like "Charmaine Champagne," "Even in the Rain," and "Lost At Sea," where the funky beats stay with you long after the song is over. The two songs that are definite downloads off this album are "The End is Near" and "Take Me Round Again." The former starts off with simple piano and drums, then grabs you towards the end as the music swells with an excess of percussion and electric guitar. The latter closes the album on a whimsical, satisfying note, leaving you ready to push repeat and listen to the album all over again. The Fiery Furnaces' carefree sound could put them in danger of being considered capricious, but after listening to the album, it's clear they come off as anything but arbitrary. The album, on a whole, leaves you feeling high with its nostalgic groove.